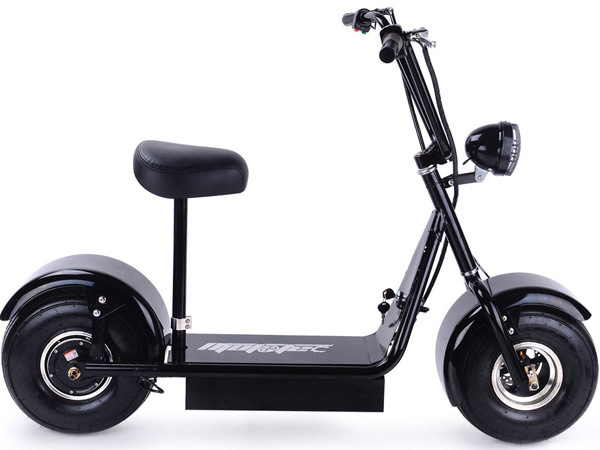 Moto Tec FatBoy electric scooter features fat, 15 inch tall tires. 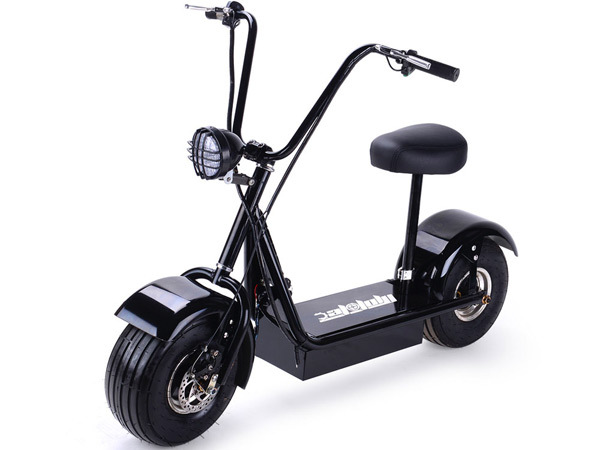 Rear hub 500 watt motor and a 48 volt, 4 battery electrical system. 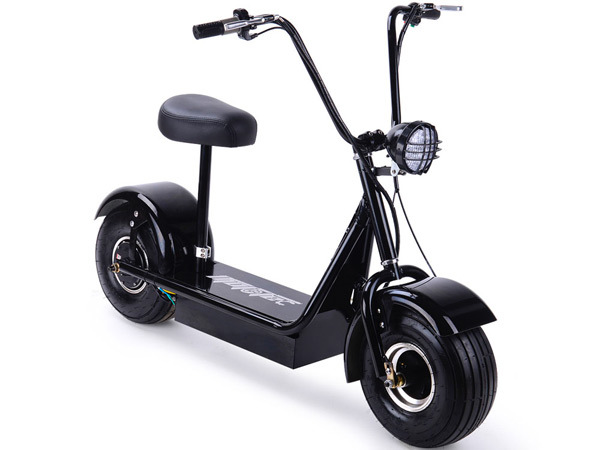 Adult size, capable of carrying riders up to 250 pounds. Wide, Riser handlebars offer more rider comfort. Rear hub motor used on the Moto Tec FatBoy 500w is maintenance free and sealed to help prevent dirt or moisture from entering. No chain or belt to adjust. Front and rear fenders help keep rider dry and clean. On/Off power switch is operated by key to help prevent unauthorized use. Bright headlamp is standard on the FatBoy 48 volt scooter. Wide, contoured saddle for added comfort. Front and rear brakes are lever actuated disk with "power interrupt" feature. 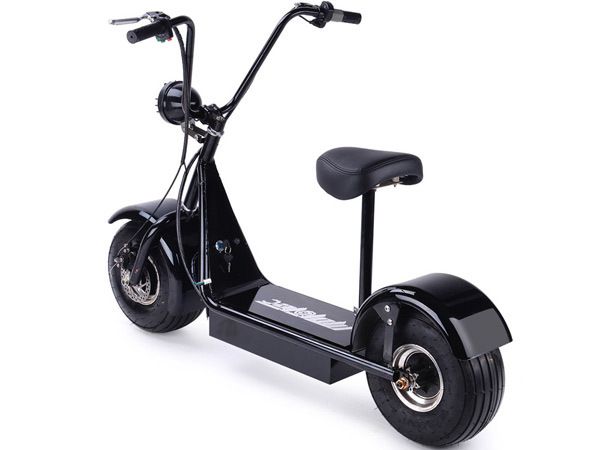 Click the button below to add the MotoTec FatBoy 48 volt 500 watt electric Scooter to your wish list.